People driving around California might have to watch their speedometers more closely in the coming years. If a group of influential lawmakers has their way, automated cameras in the Golden State could be used to enact stronger speed limit penalties. The official title for the proposed bill is Assembly Bill 342. Lawmakers in support of this bill come from either San Francisco or San Jose, two of the leading cities in the USA for traffic accident fatalities. Assembly Bill 342 proposes a five-year pilot program to both install and test speeding cameras at various locations in San Fran and San Jose. Drivers who exceed the speed limit by 10 mph will be sent a $100 fine in the mail. The mastermind behind Assembly Bill 342 is San Francisco’s Assembly Member David Chiu. Mr. Chiu told reporters that automated speed enforcement is the easiest way to reduce traffic fatalities and accidents. He pointed out that over 140 communities in America have already used speeding cameras to great effect. Both San Francisco and San Jose are among some of the worst cities in the USA for speeding fatalities. It’s now estimated that around 30 people die and 500 are hospitalized each year due to traffic crashes in San Fran. As for San Jose, around 50 people die and 150 are injured annually due to car accidents. Drivers can easily reduce these fatality numbers, Mr. Chiu argues, if they simply slow down. Mr. Chiu believes using these cameras to monitor speed levels will help change driving behaviors for the better in both San Fran and San Jose. In addition to using automated cameras, both Frisco and San Jose are a part of the Vision Zero Initiative. This traffic safety program, which was developed in Sweden, promotes innovative driving safety strategies in some of the world’s largest cities. Vision Zero hopes both San Francisco and San Jose will have zero traffic fatalities by 2024. 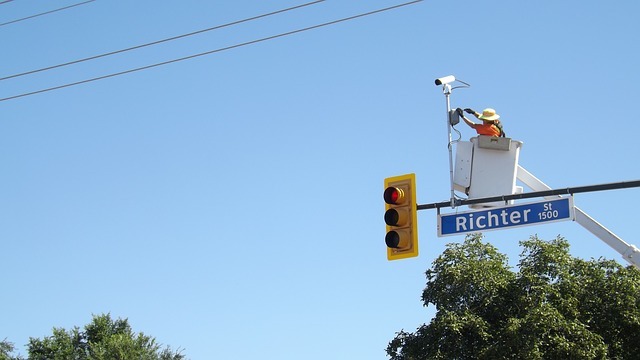 San Jose actually took matters into their own hands between 1996-2007 as they initiated their own automated speed enforcement camera program. However, the city was forced to stop the program due to legal issues from California’s state government. If this bill passes, cameras would most likely only be placed on the streets that have the most fatalities in these two cities. After an initial testing period, cameras would slowly become more diffuse throughout San Fran and San Jose. Ed Lee, the current mayor of San Francisco, said that he is in full support of Assembly Bill 342. Despite investing in various driver education and traffic engineering programs across the city, San Fran still uses $35 million annually in response to traffic accidents. California now only uses automated cameras to fine drivers who speed through red lights. There’s no word yet on whether Assembly Bill 342 could potentially lead to speeding enforcement cameras across the entire state. A few other prominent members of California’s political class who have come out supporting this bill include Senator Scott Wiener of San Francisco, Assembly Member Phil Ting of San Francisco, and Senator Jim Beall of San Jose.